As most of the cryptocurrency markets remain rather subdued right now, one has to wonder how all of this will pan out moving forward. Some markets show signs of bullish behavior. The Electroneum price, for example, is on the rise over the past few hours. Although this seems rather promising first and foremost, the 200 Satoshi level hasn’t been reached as of yet. The Bitcoin momentum remains very lackluster for quite some time now. Any minor attempt at gaining even 0.1% is usually turned into a net loss for the past eleven months. This usually doesn’t bode well for altcoins, tokens, and digital assets on the market. Although the top markets seemingly feel the pressure right now, the more interesting price action is taking place behind the top 25 right now. Very interesting to keep an eye on, especially for those looking to make some quick money. Over the past few hours, the Electroneum price has risen in a significant manner. In fact, it gained 4.5% in both USD and BTC value, which is pretty interesting to keep an eye on. Because of these fresh gains, the altcoin sits at a value of $0.006745 or 199 Satoshi. Both levels are more than acceptable under the overall circumstances, although there may be some further upward momentum on the horizon. 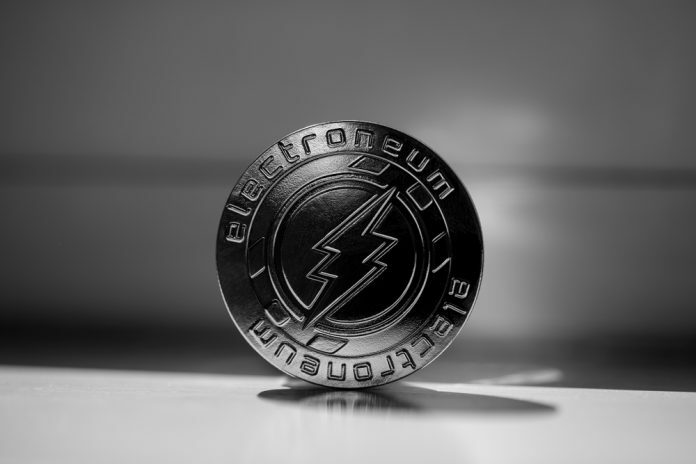 As has been the case for Electroneum for some time now, there is plenty of excitement among its community members. That in itself can turn out to be invaluable, primarily because a strong community can make big things happen. With nearly 3 million registered users right now, it would appear further growth for Electroneum is almost guaranteed. #Electroneum now at 2.835 million registered users. Considering where they've started, that number is growing at an alarming rate. I'd guess that practically all those users are just holders. Imagine when #ETN goes fully live. Remember, there's only 8.8B #ETN in circulation. There is also growing dismay regarding the lack of ETN trading on Binance. The biggest cryptocurrency exchange in the world seemingly has no real interest in adding this altcoin in the near future. Latin Crypto is convinced ETN might not even need to be on big exchanges when the ecosystem fully comes to market. An interesting train of thought, although one has to wonder if other exchanges won’t pick up on ETN in the near future. Speaking of exchanges, it would appear as if Lukbtc wouldn’t mind seeing a USDT trading pair for Electroneum on the Bittrex exchange. Although Bittrex no longer holds the dominant altcoin trading position it once did, they do support multiple stablecoins for trading against cryptocurrency. As such, there is always a chance additional USDT and TUSD pairs might be added moving forward, although ETN is not necessarily on the list. When looking at the bigger picture, it would appear this trend can remain in place for some time to come. Although Electroneum is effectively bucking the trend suppressing Bitcoin, Ethereum, and XRP, one has to keep in mind this might not necessarily be possible for more than a few hours on end. It will be interesting to see what the future holds for ETN in this regard.